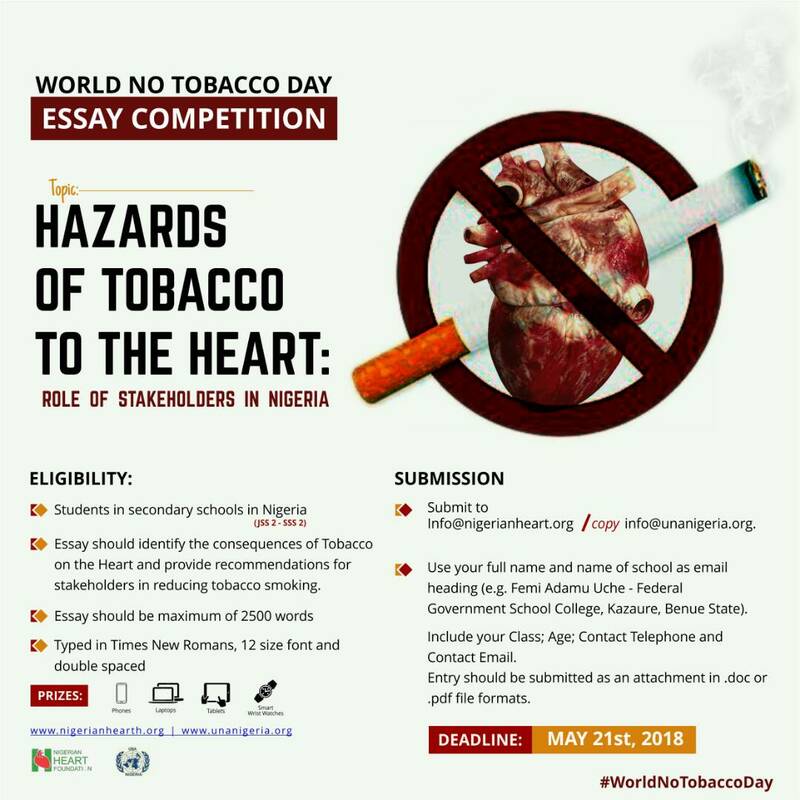 The Nigerian Heart Foundation and United Nations Association of Nigeria is delighted to announce winners of the 2018 “World No Tobacco Day” essay competition. We were impressed with the quality of applications we received from high school students across the country. The award ceremony will be held at the United Nations Information Centre (UNIC), 17 Alfred Rewane Road, Ikoyi, Lagos (beside Ikoyi Registry) on 20th June, 2018 by 11.00am.